Are you an upcoming junior or senior and interested in taking Expository Reading and Writing (EXPO)? But don’t know what it is about or what you will learn or need to know before entering the class? Coming into Expo you will be expected to already know how to write essays of all types, especially argumentative, and persuasive as well as to know your punctuation and grammar. From my own personal experience, it helped me improve in the areas of English I am not strong in. Senior Vasti Lopez says “EXPO has helped me improve my writing skills and helped me express my feelings more in my writing.” She especially loves the group discussions in class on topics they talk about because everyone is respectful of other people’s opinions based on each topic they are discussing. EXPO gets you ready for college writing and reading as well as teaches you how to write in depth of what you are talking about. 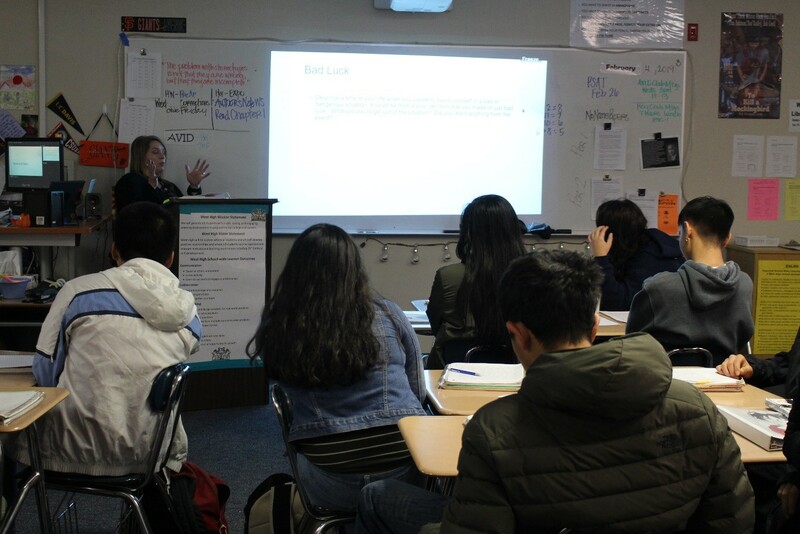 Ms. Melinda Stewart, one of the EXPO teachers this year, recommends that students should take EXPO because it prepares you for all kinds of writing you will be doing in college. Passing EXPO with a C or higher also allows students to take college level courses the first year in college instead of having to take remedial courses or attend the early start program in the summer. Give it a shot and see how it goes. Best of luck!